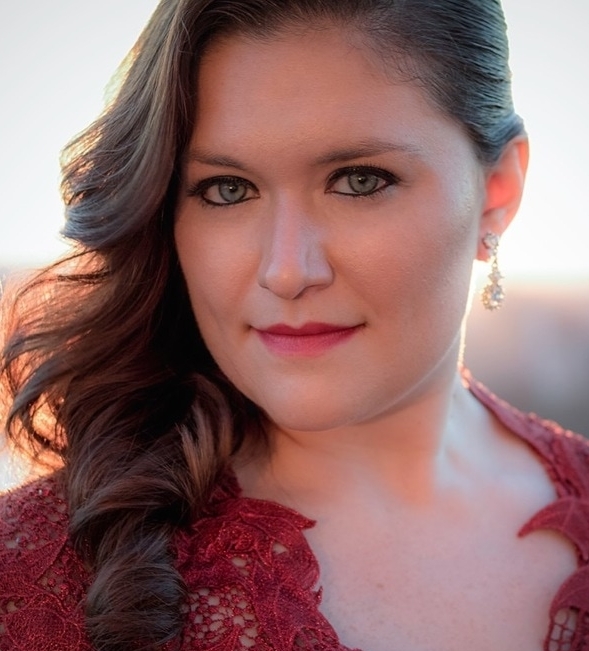 Praised for her "distinctive and tightly focused voice," American soprano, Alexandra Batsios, recently made her Palm Beach Opera debut during their 2012-2013 season as Annina (La Traviata), Clorinda (La Cenerentola), and Flora (The Turn of the Screw). She also premiered the role of Yadwiga in the first staged performance of Ben Moore's Enemies, A Love Story. She also sang Miss Wordsworth in the 2013 Green Mountain Opera Festival’s Albert Herring. In 2015 she will be seen as the Queen of Shemaka in a new production of Rimsky-Korsakov’s L’Coq d’Or with Sarasota Opera. Equally at home on the concert stage, her repertoire includes Mozart’s Requiem and Mass in C minor, Orff’s Carmina Burana and Bach’s Magnificat. As a member of the prestigious Westminster Symphonic Choir, she sang under the batons of Alan Gilbert, John Adams, Helmuth Rilling, Sir Roger Norrington, and Michael Tilson Thomas. Last summer she was an Emerging Artist with Green Mountain Opera Festival and covered the title role in Lucia di Lammermoor at Opera North. She joined the Studio Artist program at Sarasota Opera in 2013-14 season. In addition to her opera and concert experience, she was also awarded third place at the Midwest regional of the 2013 Metropolitan Opera National Council Auditions. Ms. Batsios holds performance degrees from Millikin University and Westminster Choir College.